Your CO2 scale treatment specialist in your region. Local partner/distributor of the Ecobulles products. You would like to treat scale in your household or your installations, but you’d rather avoid going through a salt softener? Ecobulles dissolves scale in your appliances and prevents from problems related to salt: no water overconsumption, no polluting rejects into the sewer, the minerals in your water will be preserved. 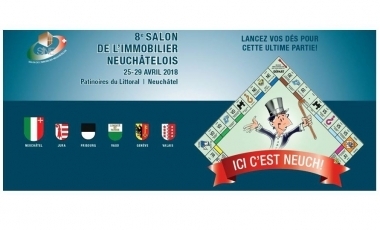 April 25-29, Ecobulles Switzerland will be at the Patinoires du Littoral in Neufchâtel. Find out here about feedback from our users’ experience with our Ecobulles CO2 injection scale treatment system in Switzerland. Savings and environmental protection, wasting of blue gold have always been some of my biggest personal concerns. Energy savings are made to reconcile Man, Nature and economy. Sustainable development is made to ensure the well-being of all human beings who live today and who will live tomorrow on Earth, in harmony with the environment in which they evolve. In 2016, to meet a customer’s expectations to find a saltless anti-scale solution that wouldn’t be magnetic either, I met Ecobulles, who convinced me right away about the efficiency of their CO2 system. Since the, we work closely with Ecobulles, a very dynamic and entrepreneurial company, on which we can count on to find the best solutions to meet our customers’ most special requests and needs. A nice story of blue gold and CO2 that started in Switzerland.